Full Speed Ahead, Behind, and Up! 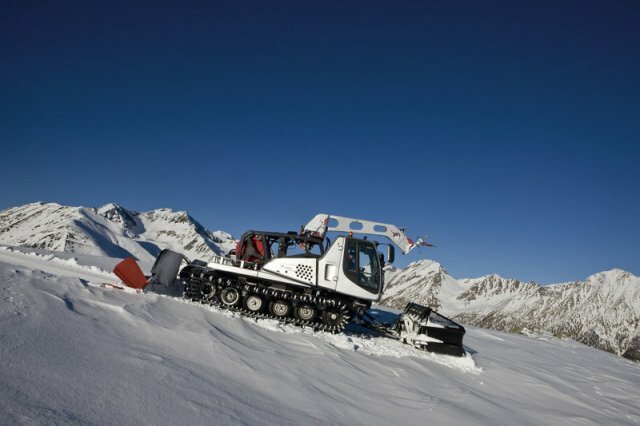 The Everest provides you with not only fantastic snow conditions, but also the highest functionality in stylish Pininfarina design as well as innovative PRINOTH accessories. 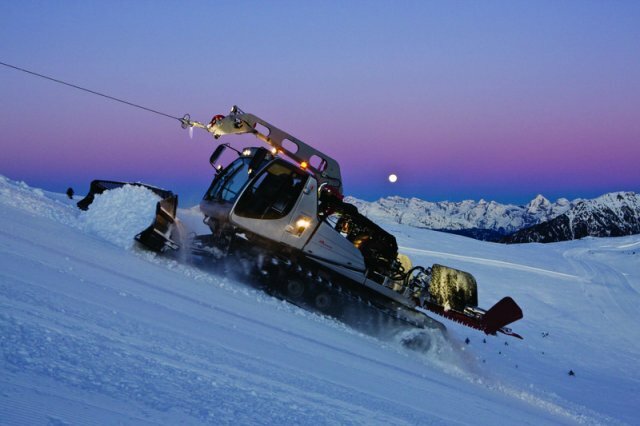 With the PRINOTH drum winch, the grooming of even steep slopes turns into a pleasure, thanks to Wincontrol. High Grooming Performance – Even More Economical. Unique workspace: Efficient functionality and the latest ergonomic insights in the elegant design of Pininfarina. 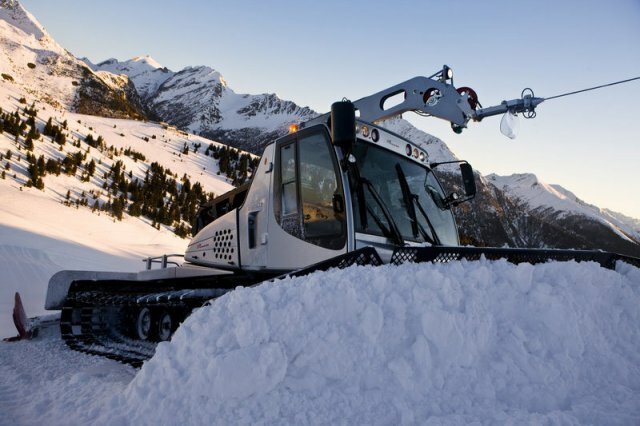 The maximum lengths of perfectly groomed slopes in the minimum time. Low operating costs: The fully-electronic engine and hydraulic management along with tried and true PRINOTH components take care of both costs and the environment. 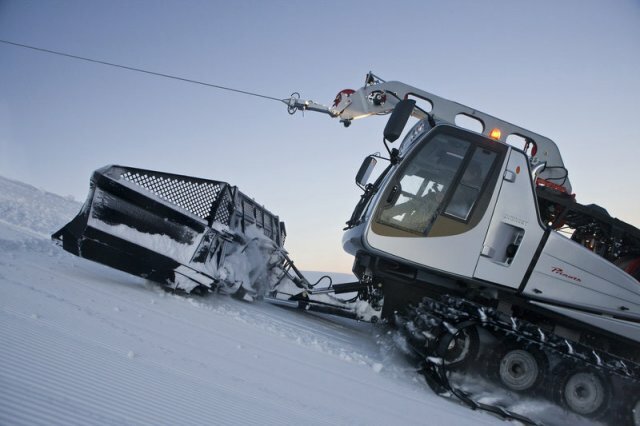 PRINOTH drum winch: Winch with automatic pulling force control – for the rapid grooming of steep slopes and the transport of large quantities of snow. PRINOTH accessories: Such as the Power Tiller and the 12-way clearing blade. Unique workspace. The clear layout of the controls, the driver’s seat that was developed for special needs, the user interface, and the operational elements within the Pininfarina design all guarantee work that is both pleasant and safe. 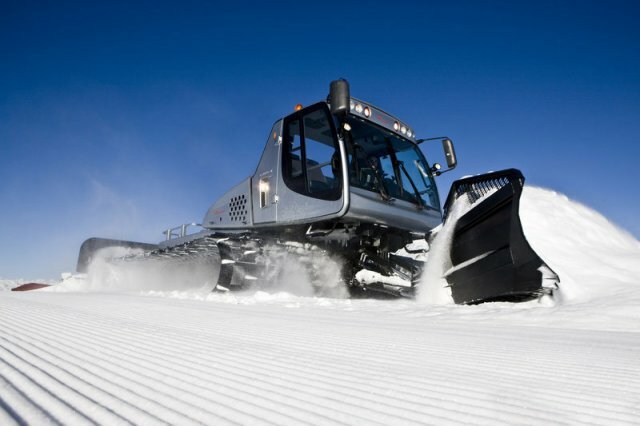 The maximum lengths of perfectly groomed slopes in the minimum time. Tremendous thrust at the same time as good maneuverability, excellent climbing ability, and sensitive handling of the clearing blade, thanks to the new hydraulic servomechanism. Low operating costs. The fully electronic control system for the engine and hydraulics management guarantees optimal performance values with low fuel consumption, helping to relieve the impact on the environment. Lower maintenance costs and a long operating life thanks to tried and true PRINOTH components. PRINOTH Drum Winch. 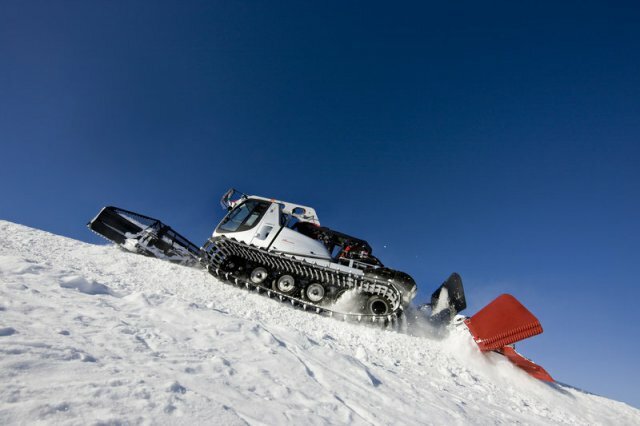 The PRINOTH drum winch on the Everest provides rapid, efficient assistance in the grooming of steep slopes and the transporting of large quantities of snow. With Wincontrol, the latest-generation technology for automatic control of the winch pulling force, the driver is free to concentrate on what is essential, while the winch controls itself. PRINOTH accessories. Even at high grooming speeds, the high-performance PRINOTH Power Tiller guarantees an unsurpassed compact slope with good grip at all times. With the specially shaped 12-way clearing blade, you can take advantage of high thrust with lower power usage.